Altheus Therapeutics announced earlier this month that it has completed enrollment for ZA201, a 6-week, double-blind, active-controlled Phase 2 clinical trial in approximately 120 adult patients with left-sided, or distal, ulcerative colitis. The clinical trial s testing the efficacy and safety of Zoenasa Rectal Gel. Dennis Schafer, President and CEO of Altheus, commented that the positive ZA201 results will validate the entire Zoenasa platform. “We are pleased to have achieved this milestone” and “we look forward to gaining alignment on our registration program with the FDA and other Health Authorities as the next step to making Zoenasa available to IBD patients,” he said in a press release from the company. 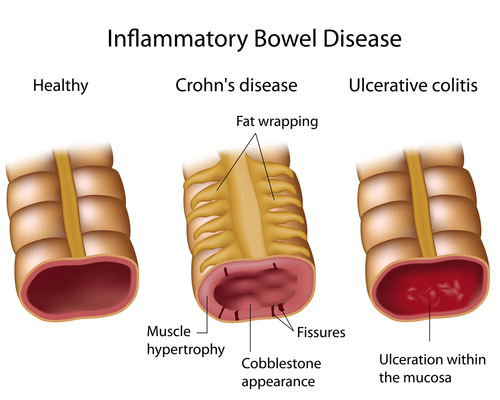 Nearly 1.2 million Americans suffer from inflammatory bowel disease. The two most common forms, ulcerative colitis and Crohn’s disease, are chronic lifelong conditions which significantly impact quality of life. Front-line treatment for ulcerative colitis is monotherapy with oral or rectal mesalamine. However, many patients do not achieve symptomatic or endoscopic remission and must escalate to more expensive and risky treatments. Zoenasa is a patented, novel combination of two FDA-approved drugs, with well-established efficacy and safety records, that have been shown to act synergistically to improve the signs and symptoms of ulcerative colitis. In animal models of colitis, Zoenasa resolved inflammation more rapidly and completely than mesalamine (the current front line standard of care). Zoenasa Rectal Gel is being investigated for the treatment of left-sided ulcerative colitis, which affects approximately 80% of ulcerative colitis patients. FDA also granted Zoenasa orphan designation for the treatment of pediatric ulcerative colitis. An oral formulation of Zoenasa is in pre-clinical development. The ZA201 clinical trial is a 6-week, double-blind, active-controlled Phase 2 study of the efficacy and safety of Zoenasa® Rectal Gel versus mesalamine standard enema therapy. It was conducted in approximately 120 adult patients with left-sided, or distal, ulcerative colitis. You can learn more about the ZA201 here. Founded in 2007, Altheus Therapeutics, Inc., of Oklahoma City, is a pharmaceutical development company focused on innovative therapies for the treatment of inflammatory bowel disease. You can learn more about the company on its website.